Of course, that's what they would say, isn't it? 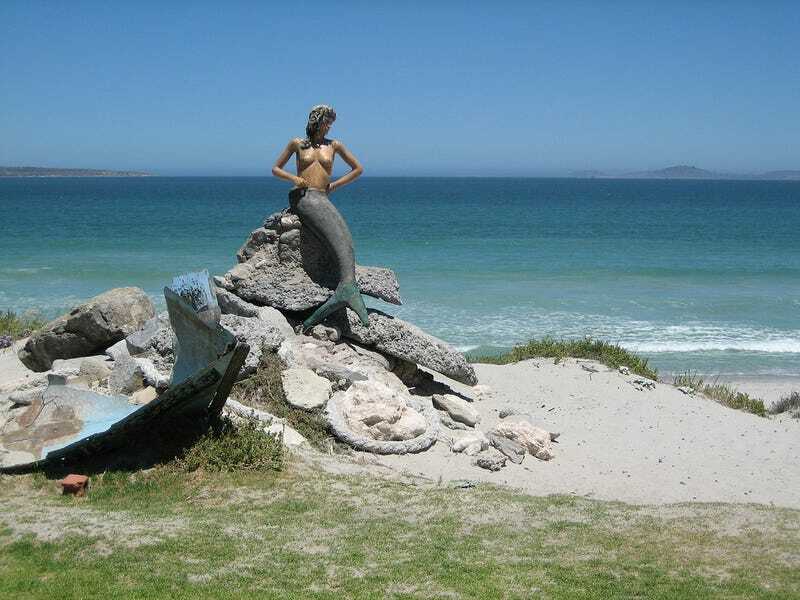 The U.S. National Oceanic and Atmospheric Administration issued a statement explaining that no evidence of the existence of mermaids "has ever been found." NOAA explains helpfully that belief in mermaids may go back as far as 30,000 years, to a time when humans first began "to sail the seas." Top image: Aubrey Kilian on Flickr. It was a documentary-style show that "paints a wildly convincing picture of the existence of mermaids, what they may look like, and why they've stayed hidden...until now," according to the show's press Web page. Indeed, it says, "'Mermaids: The Body Found' makes a strong case for the existence of the mermaid..."
Though the filmmakers acknowledged that the film is science fiction, for many people it was indeed "wildly convincing." The show was an "X-Files" type fanciful mix of state-of-the-art computer generated animation, historical fact, conspiracy theory and real and faked footage sprinkled with enough bits of scientific speculation and real science to make it seem plausible. In fact, there were even interviews with real NOAA scientists.